This is a picture of the Abbeville Memorial Library’s entry for the scarecrow competition hosted by the Abbeville Chamber of Commerce. 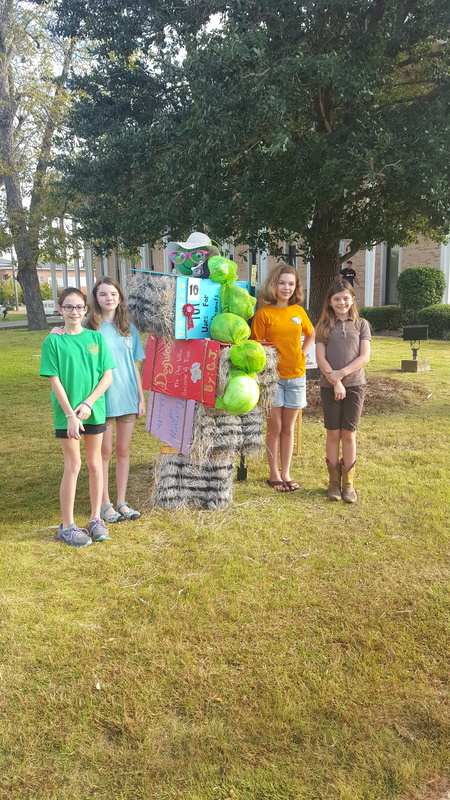 These young ladies from the Notgrass 6th Grade History Class, designed and made the “Bookworm Scarecrow”. It won 2nd place in the contest. Thank you for all your hard work.